We harvest our 17ha of vineyards by hand, in small crates of 20Kg, when the grape is at its optimum ripening point. 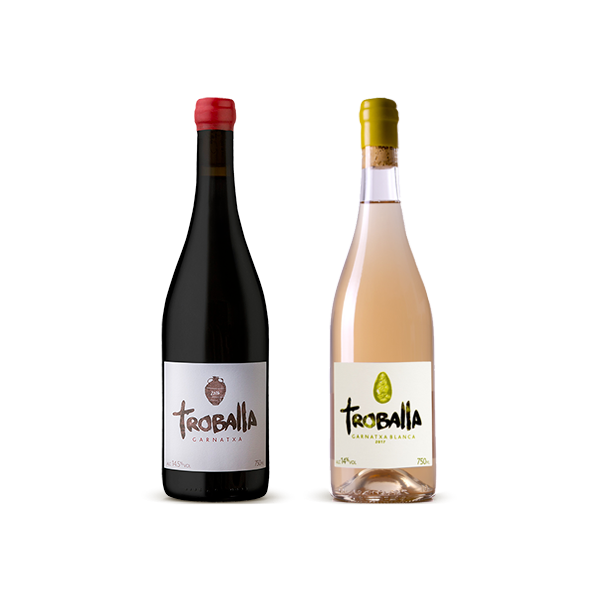 All the plantations are in the 700m-high La Pobla de Cérvoles, in the Costers del Segre DO, an area of Les Garrigues. We obtain about 3,500Kg/ha of high-quality grapes, which allows us to produce high altitude ecological wines with character and elegance. Artists’ wines. Wines that inspire. The varieties of grape that we grow are mainly black Grenache, white Grenache and Macabeo. But we also have Cabernet Sauvignon, Tempranillo, Merlot, Syrah, Sumoll, Viognier and Riesling. 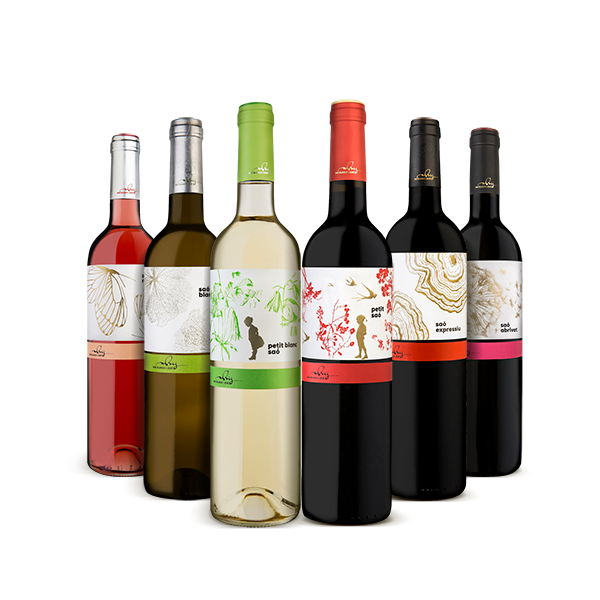 The main range of wines are called Saó, a word that speaks of the land and means “maturity, perfection and the optimum degree of moisture.” And we look for this genuineness in each of our bottles, our wine expressing the best of the place that saw its birth. 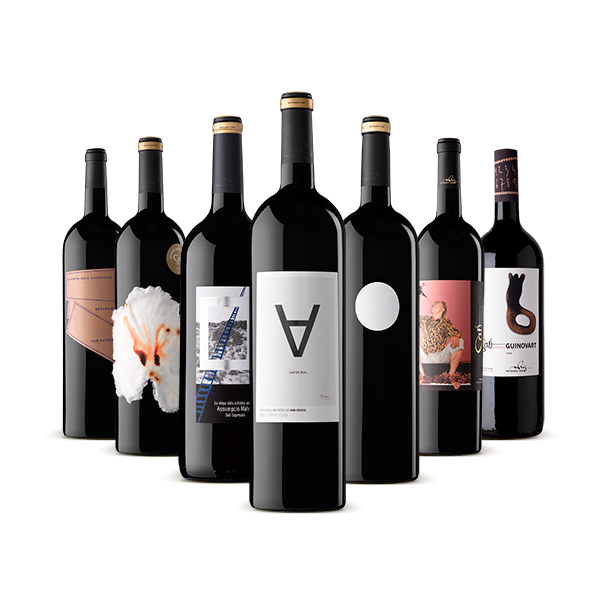 We also have a range of new discoveries: bold and special wines, made with spontaneous fermentation, that have a captivating rusticity. Very fresh and alive. Respect for the land and the olive trees. Careful selection of olives. 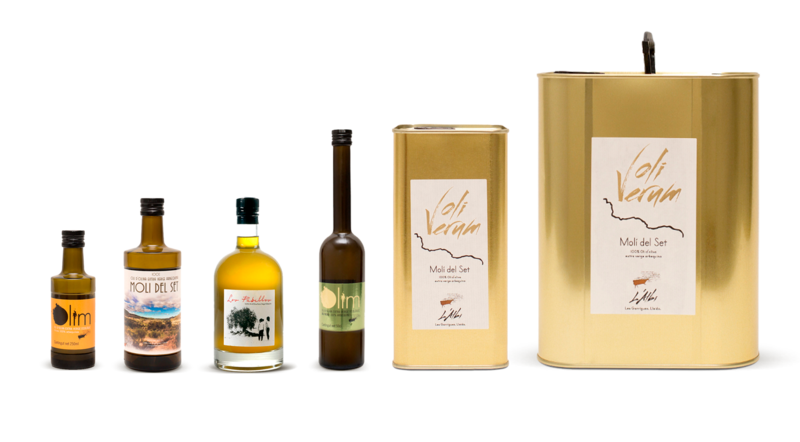 Pure extra virgin olive oil made with 100% Arbequina olives. Simply the best olive juice, without any additives. Only from the first cold pressing, working at a maximum temperature of 22ºC allows us to preserve the best quality. These special oils are made by decantation, without clarifying or filtering, and it is normal for them to contain some sediment, since they feature a high organic load that ends up precipitating. Because of this it is an oil that lasts longer and preserves all of its organoleptic properties, which are so beneficial for health. The acidity of our oils is always less than 0.2º. A more careful, more natural and more respectful process allows us to obtain a unique olive oil. An extraordinary product. MOLÍ DEL SET Our basic but delicious range. OLIVERUM Green oil with a powerful attack at first and a very persistent and intense flavour. ÒLIM Ecological olive oil in its green and mature format. LES PUBILLES Oil from centenary olive trees. The centenary olive trees convey more aromatic potential and give more depth to the olive. However, they are less productive, and they must be harvested by hand.